If you are at a really good point in a book and the phone rings or the door bell rings, do you stop reading or let the phone or door bell go unanswered? I would answer, but I'd be grumpy, especially if it turned out to be a waste of time, like a telemarketer or a Jehovah's Witness duo. Alexander Hamilton, a brilliant young immigrant from the Caribbean, made his dreams come true in America in spectacular fashion and in a relatively short time. No single role embraced by Hamilton was more important or timely than serving as Washington's chief of staff, in the modern sense, although that title did not officially exist in the American army of the 1770s. Sell-outs crowds every night enjoy the smash hit Hamilton on Broadway, which presents a fact-filled and entertaining glimpse into the patriot’s life. But very few of us know about Lieutenant Colonel Alexander Hamilton, General George Washington’s trusted military advisor. Despite his less-than-promising beginnings as the only Founding Father not born and raised on American soil, Hamilton was one of the best and brightest of his generation. His notoriety has rested almost entirely on his role as Secretary of the Treasury in Washington’s administration, yet few realize that Washington and Hamilton’s bond was forged during the Revolutionary War. Hamilton’s Revolution is the first book to explore Hamilton’s critical role during the battle for independence. 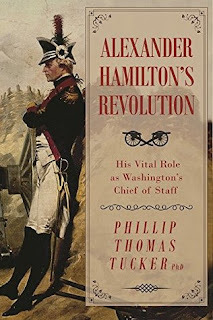 New information presents a little-known and underpublished aspect of Hamilton’s life: that he was not only Washington’s favorite staff officer, but also his right-hand man for most of the Revolution, serving as Chief of Staff from 1777 to early 1781. While he found this position rewarding, Hamilton continually asked Washington for a field command. Hamilton’s wish was granted at the decisive battle of Yorktown, where his Infantry Battalion charged on the defensive bastion on Cornwallis’s left flank. Hamilton’s capture of this position, while French forced captured the adjacent position. This sealed Cornwallis’s fate and forced his surrender, and ultimate Colonial victory. The entire patriotic cause benefited immeasurably from the advice and strategies provided to Washington by his youngest staff officer Alexander Hamilton. Now, those critical contributions are brought to light in Hamilton’s Revolution. My aunt would love this book! She was a history teacher and this is exactly the type of books she loves to read. Thanks for stopping by, Mareli! I check my caller ID but normally do not get too many door bell rings. 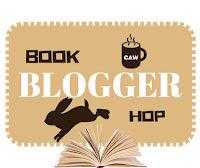 Thanks for joining in the fun of the Blog Hop this week. Thanks, Elizabeth. See you next week! lol I love your blog hop answer Nicki I am the same way as well, thank you so much for stopping by my blog hop and have a great weekend Nicki. Thanks, Katiria. See you again next time! Sounds like a fascinating read! :-) Have a great week ahead!